We are working up a nice updae and will be adding many new pieces to the site very soon! We want to thank everyone who visits our website. We appreciate your loyalty and we are working on a nice update for the inventory. We are also moving out some older stock, so look for special " PRICE REDUCED " items on many of the pages! Many of these artifacts have never been offered for sale before. We have offered an Outstanding Selection of Kirks & San Patrice points! A couple of exceptional White Springs found on the Anderson Site! There is also one left that is published in "Ancient Indian Artifacts" by Jim Bennett. We still have some Quality South Central Region pieces that we have reduced the price on. You will find our Pre-historic Artifacts are pieces mainly from the East Central part of the United States. This is the region where I have collected for over 35 years and for which I have more expertise of the Lithic's and Typology. Our Collectibles will have offerings that cover a broad spectrum of collecting interests, from Coins & Comics to Primitives and Pottery. On occasion, some of our items will complement Prehistoric Artifact collecting. We hope that you enjoy your visit to our web site. We will be updating our "BOOKS Section" shortly Also look for many of our pieces that were just published in the 12th & 13th Overstreet! Check Out our GIFT CERTIFICATES for your favorite collector! Penbrandt Prehistoric Artifacts & Collectibles! If you are visiting our site for the 1st time, let us introduce ourselves. 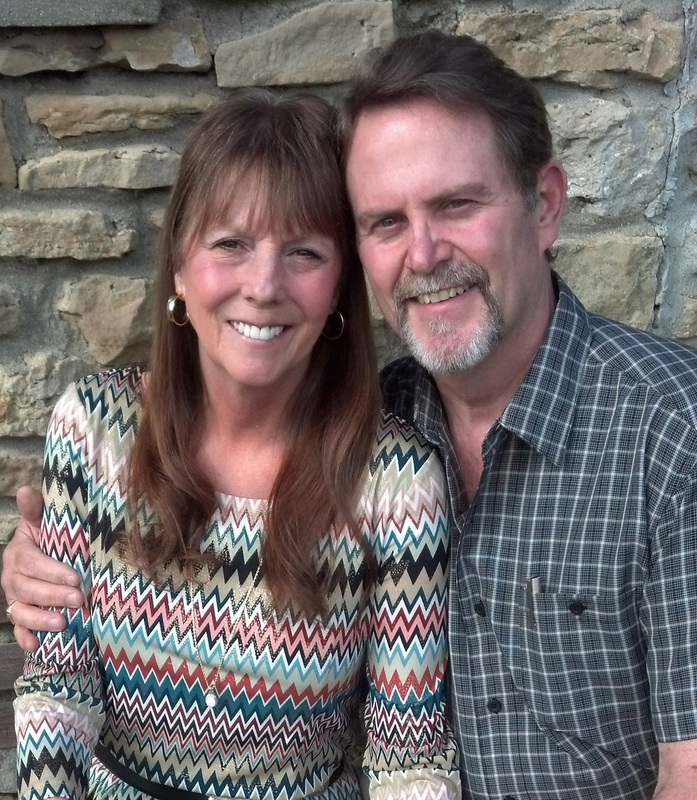 We are Monty & Jewdy Pennington of Richmond Kentucky, which is located at the base of the Appalachian Foothills. 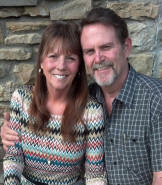 I started collecting prehistoric artifacts in 1967 while working on our family farm and others in the community. Growing up in the antique business my collecting interest naturally spread to other areas. So you will find a section on our web that will offer a wide range of other collectibles as well as our good, authentic, prehistoric artifacts. Don't be afraid to make us an offer on a piece! 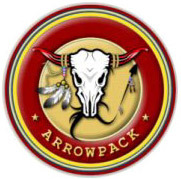 We are members of Arrowpack.Com & the BeAwareBoard - (PREMIER SITE FOR THE COLLECTION OF INDIAN ARTIFACTS AND THE PREVENTION OF ARTIFACT FRAUD), the AACA -Authentic Artifact Collectors Association, the GRAS - Green River Archaeological Society, CSAS-Central States Archaeological Societies, NAACA - Native American Artifact Collectors Association, & Co-founder in 2003 of the AFACA - Appalachian Foothills Artifact Collectors Association, of which I am very proud! 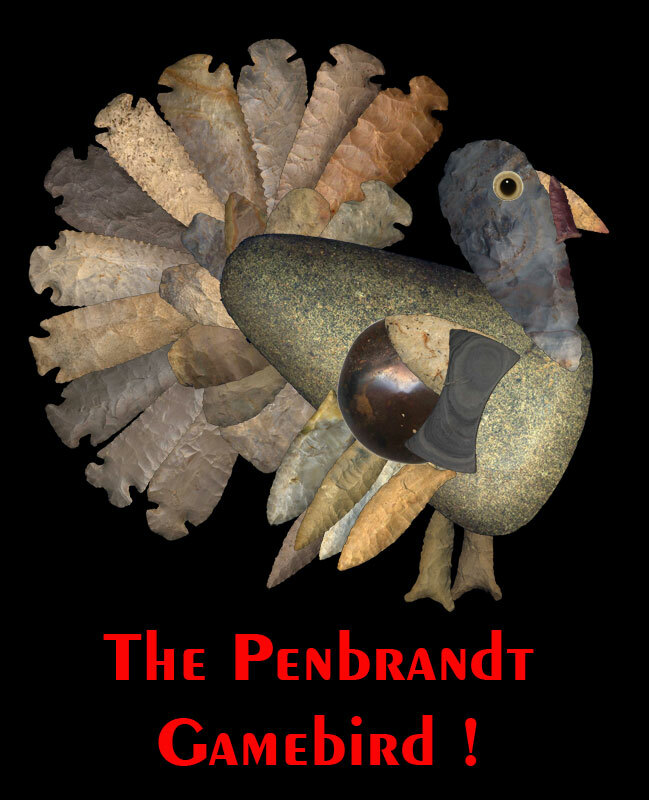 We offer only AUTHENTIC artifacts for sale here on our web site and on e-Bay under "penbrandt", where we have been a member since January of 1999. Contact us for information on consigning with us! Our goal is to provide quality items, accurately described, and visually displayed. We strive to respond to email quickly and ship very promptly! Always feel free to email me if you have a question about an item. We try to give detailed descriptions and show quality photos of each and every item. Ask us about our Lay-A-Way Plan!